Competition watchdog approves Transmashholding purchase by Alstom | Russian Legal Information Agency (RAPSI). Moscow, April 21 – RAPSI. The Russian Federal Antimonopoly Service (FAS) approved a reqest by Alstom (France) asking for a permission to buy a blocking stake in Transmashholding, Transmashholding Board Chairman Andrei Bokarev announced today. The deal was approved by the Government Commission on Foreign Investment on March 25. 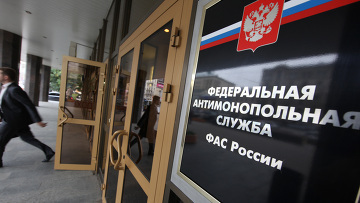 FAS Director Igor Artemyev said the antimonopoly service would approve the deal in the near future. Transmashholding is Russia’s largest manufacturer of diesel and electric locomotives, passenger and freight cars, electric trains, metro cars, rail buses and diesel engines for ships and locomotives. Transmashholding’s only registered shareholder is Breakers Investments BV (Netherlands), the blocking stake of which is owned by Russian Railways. The contract under which Alstom will buy a blocking stake (25% plus one share) in Breakers Investments BV’s charter capital was signed in March 2010. Transmashholding’s share portfolio which is to be sold to the French company will include all Transmashholding shareholders in proportion to their shares, except for Russian Railways. The parties are expected to secure the approval of the antimonopoly authorities in October 2010. However, after examining the inquiry from Alstom, the FAS consulted the Federal Protective Service and the Defense Ministry. These authorities said they are not fully satisfied with the terms of the deal. 13:11 21/04/2011 The Russian Federal Antimonopoly Service (FAS) approved a reqest by Alstom (France) asking for a permission to buy a blocking stake in Transmashholding, Transmashholding Board Chairman Andrei Bokarev announced today.